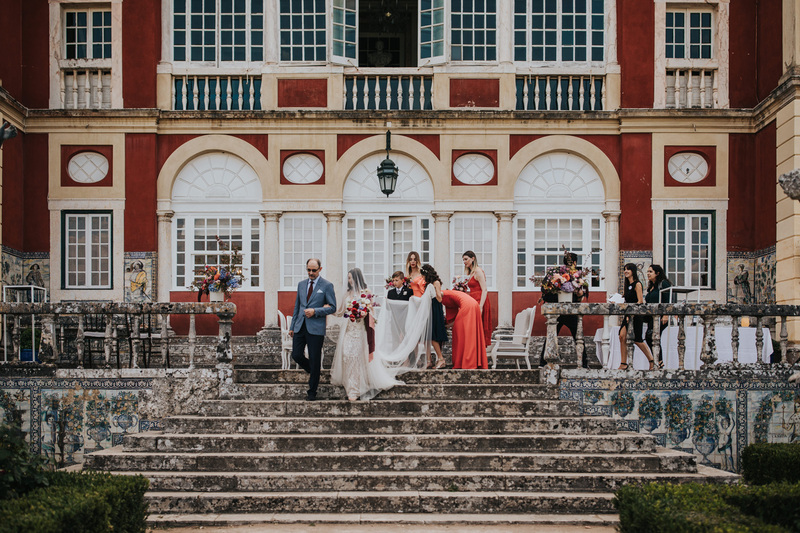 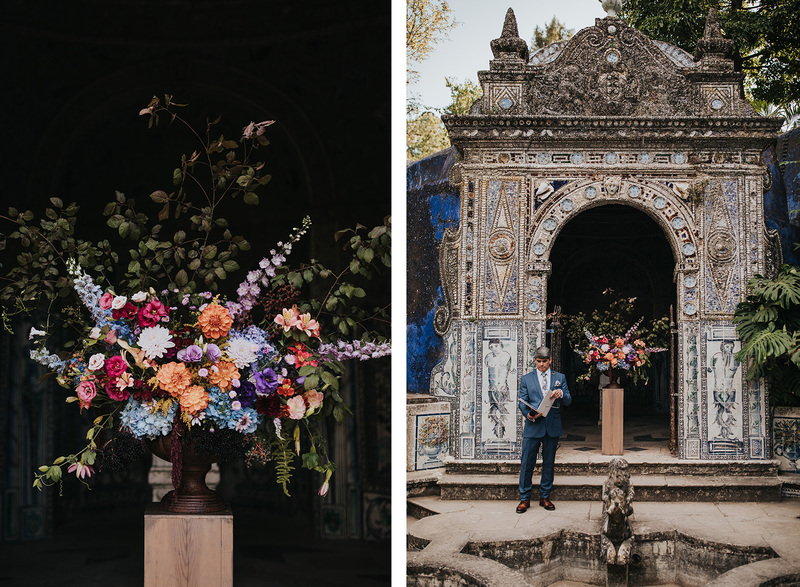 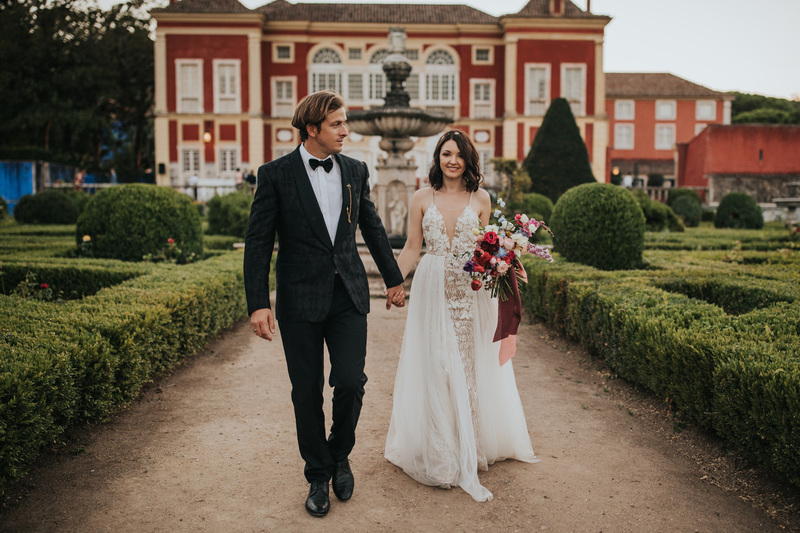 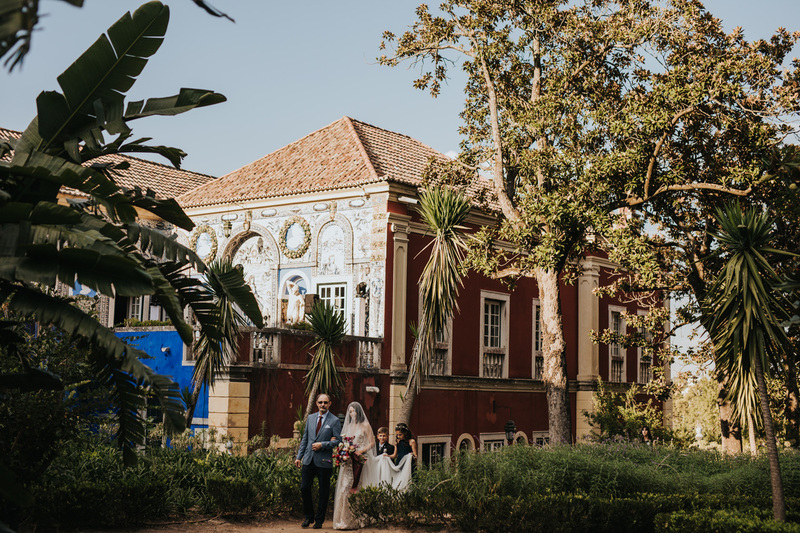 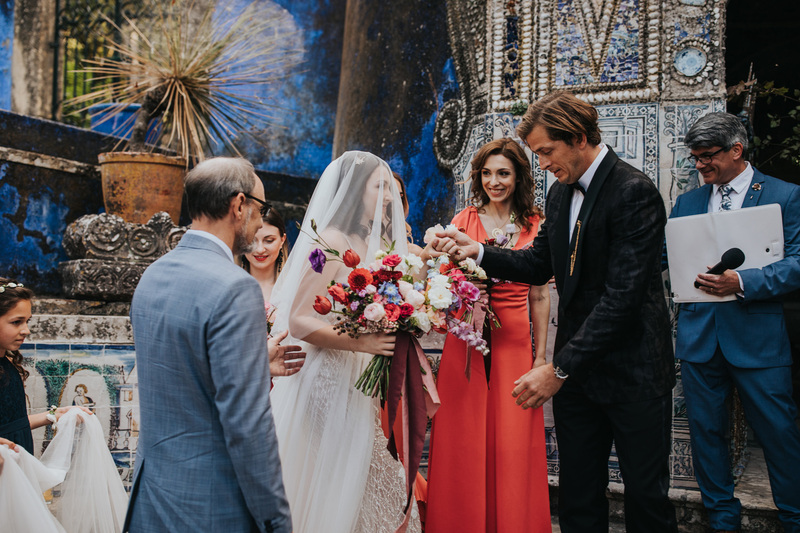 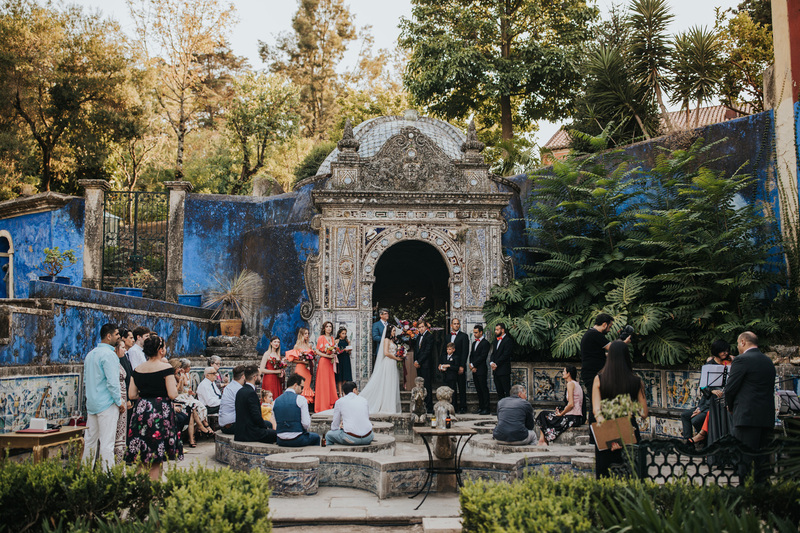 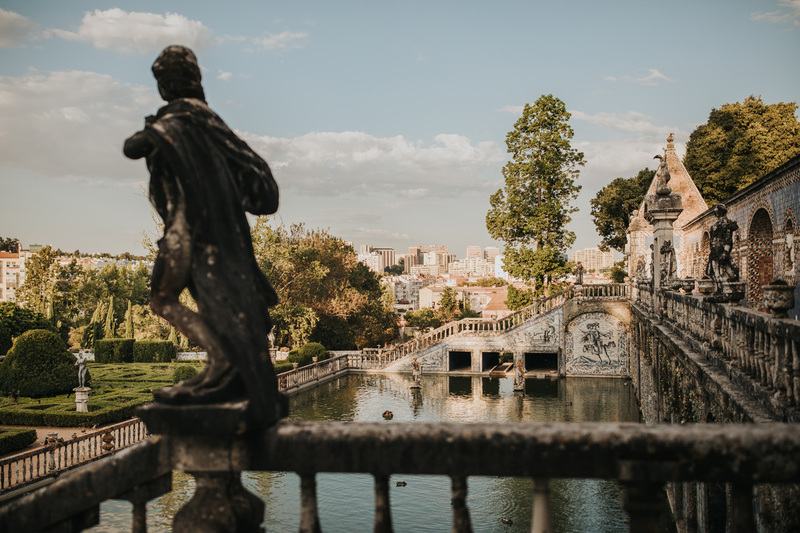 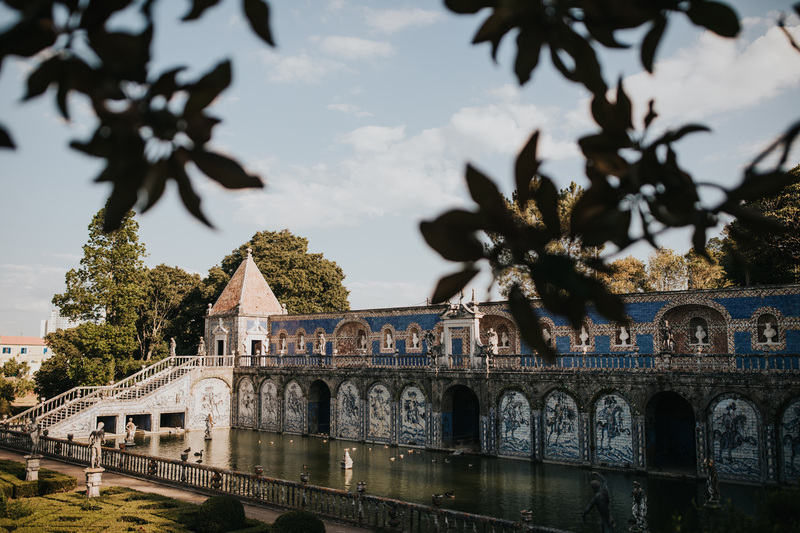 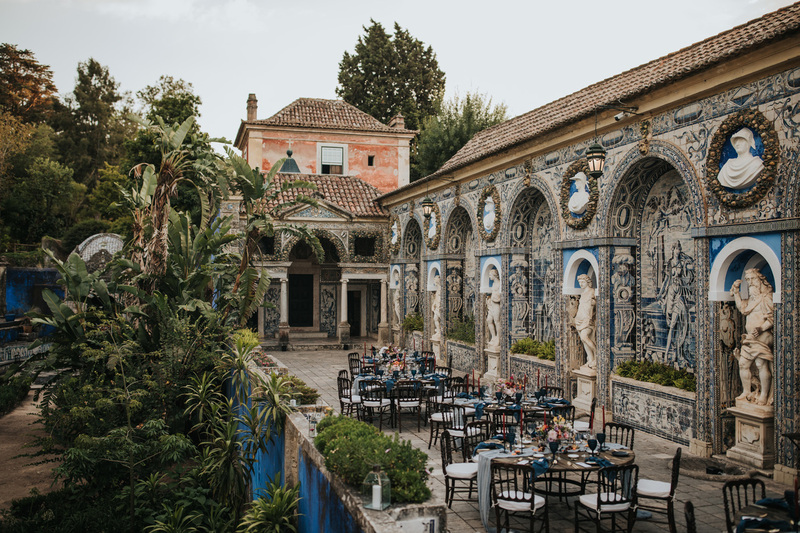 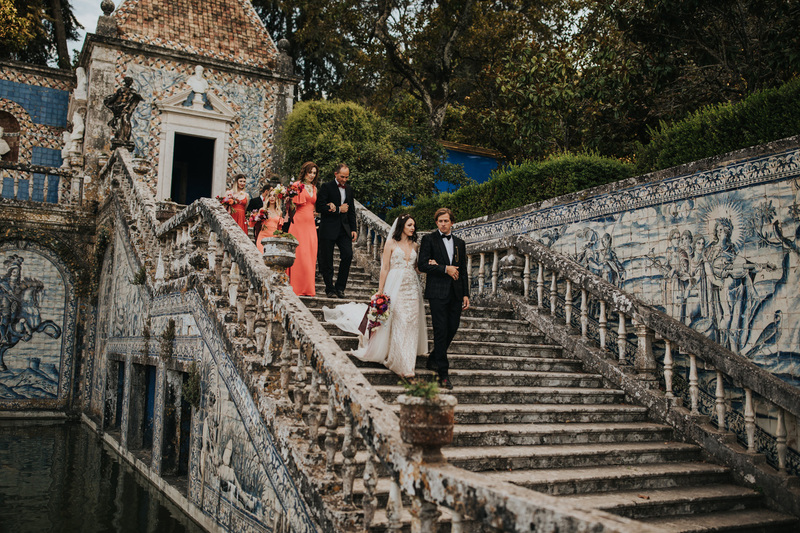 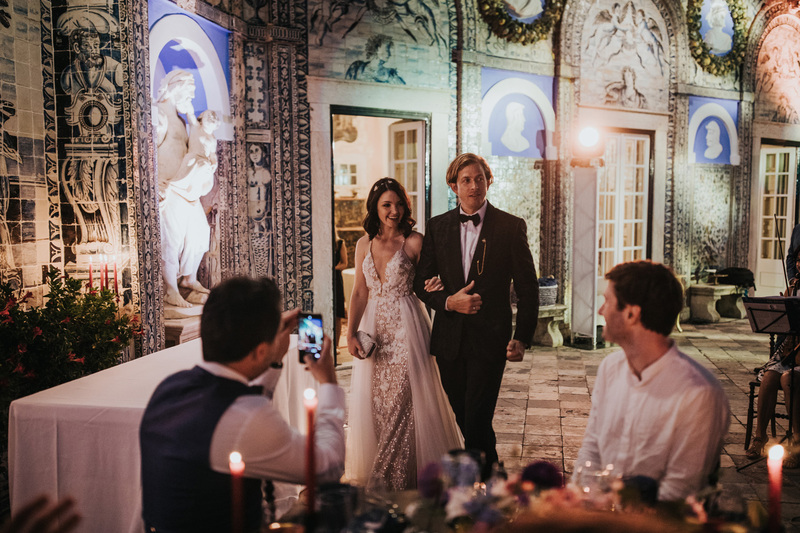 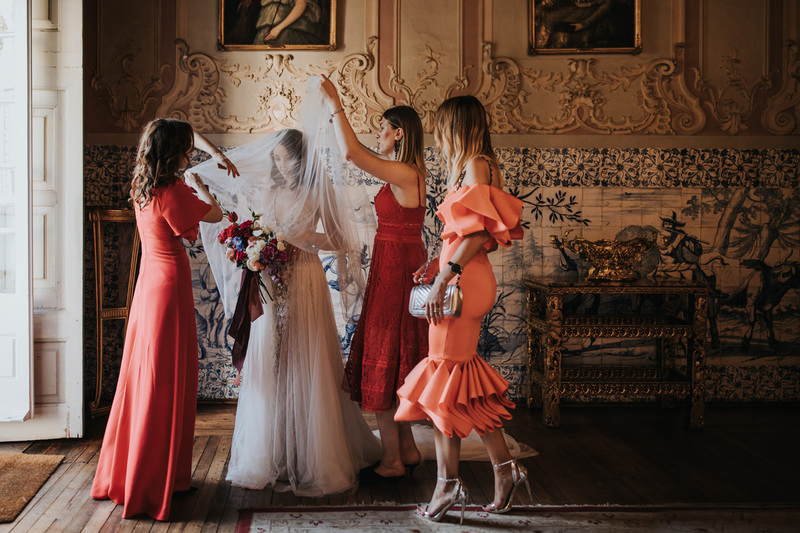 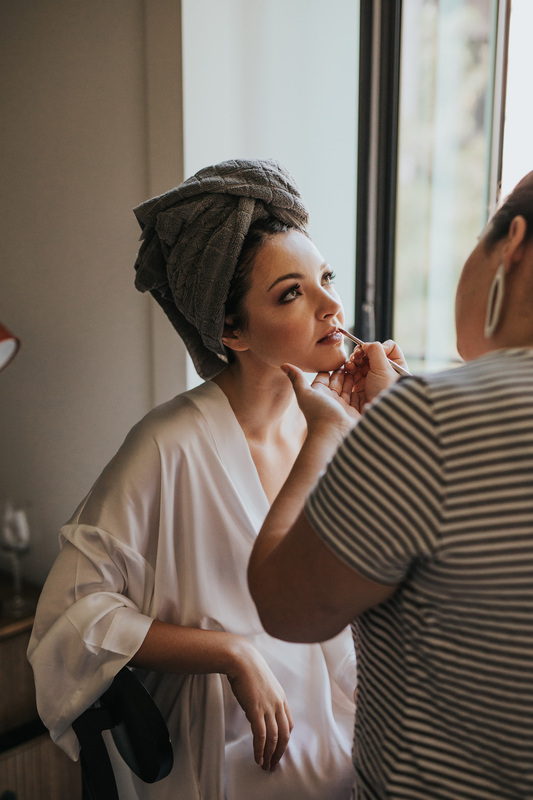 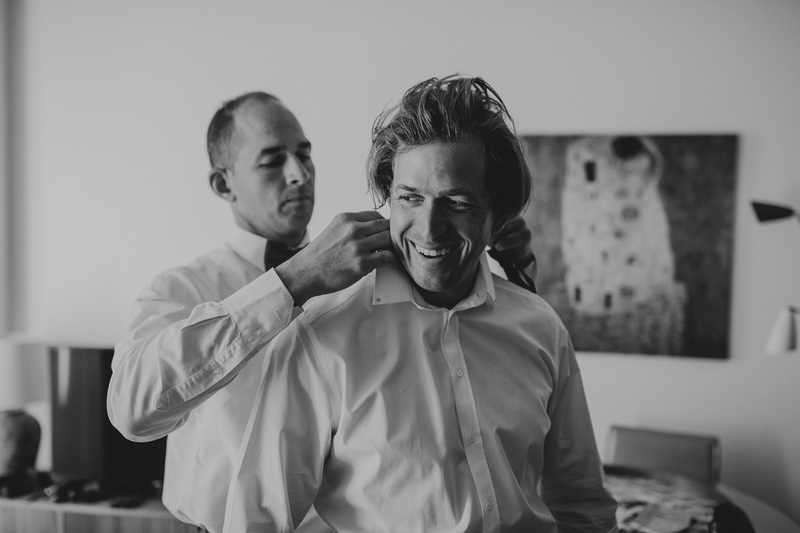 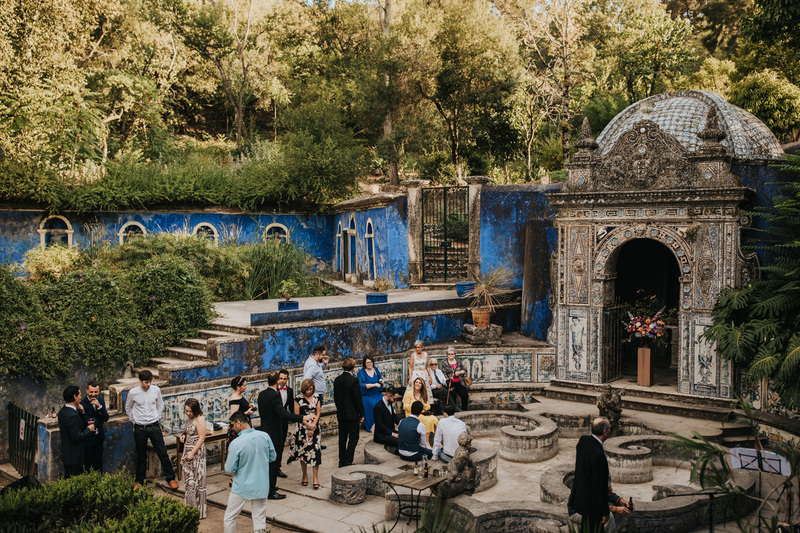 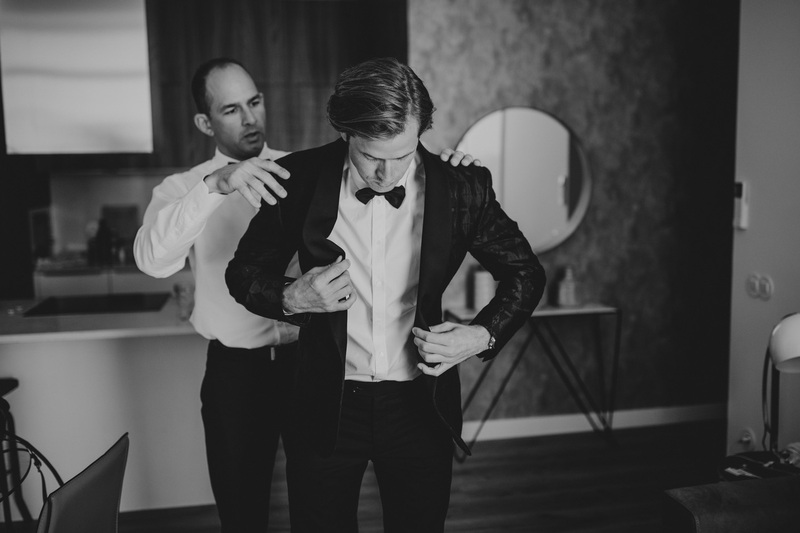 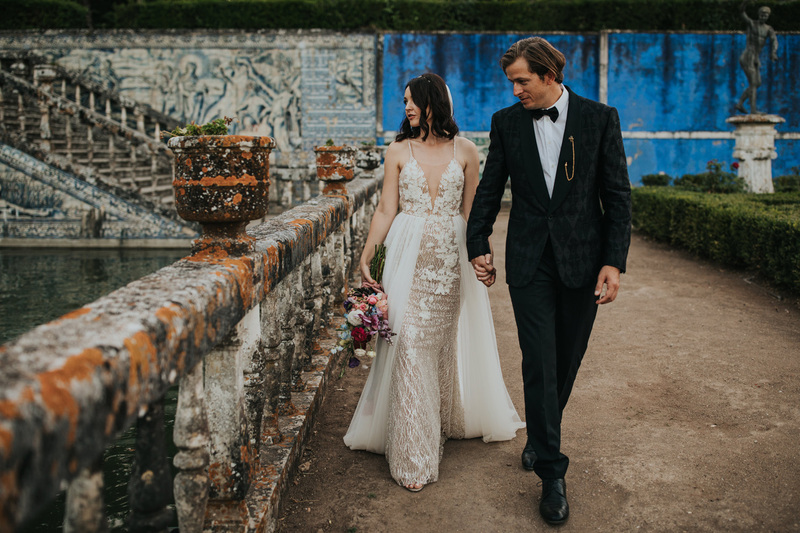 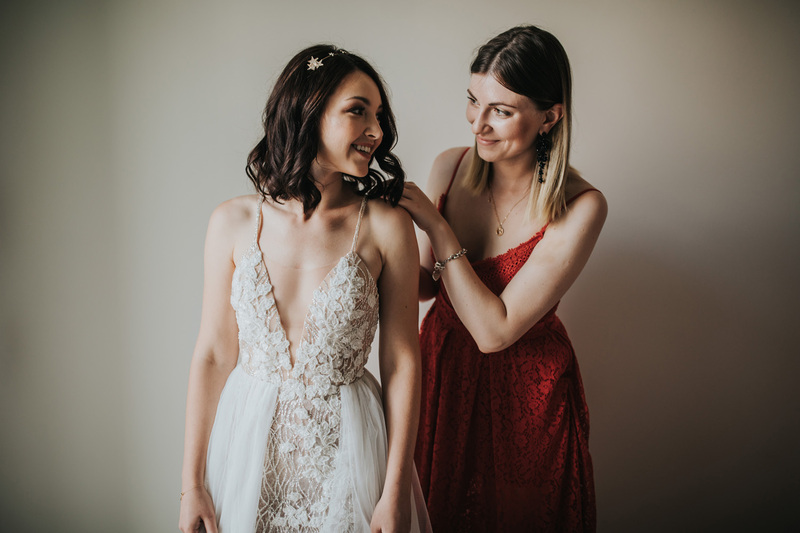 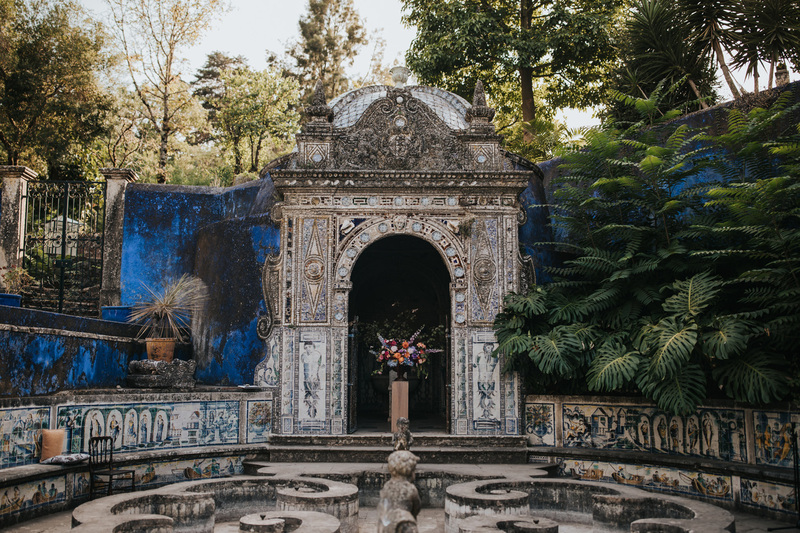 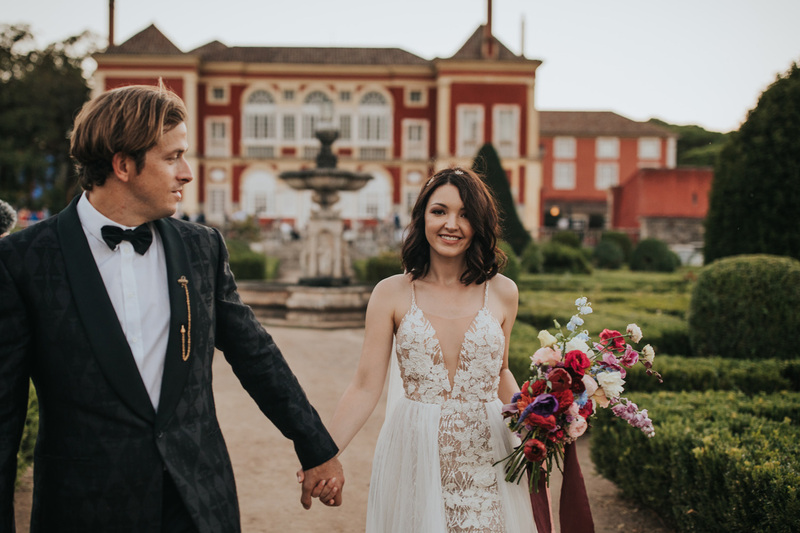 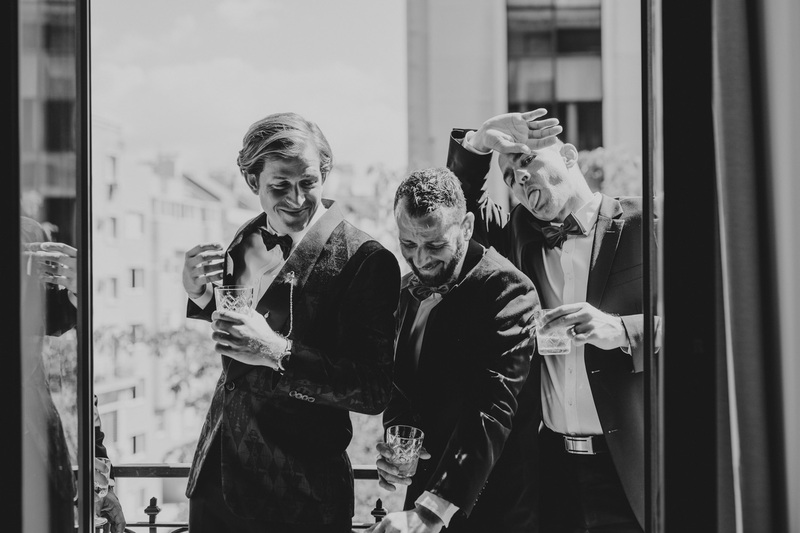 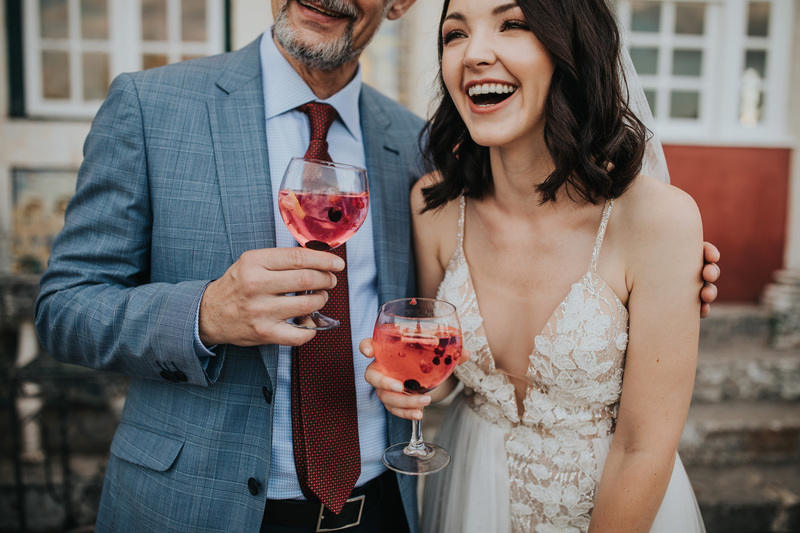 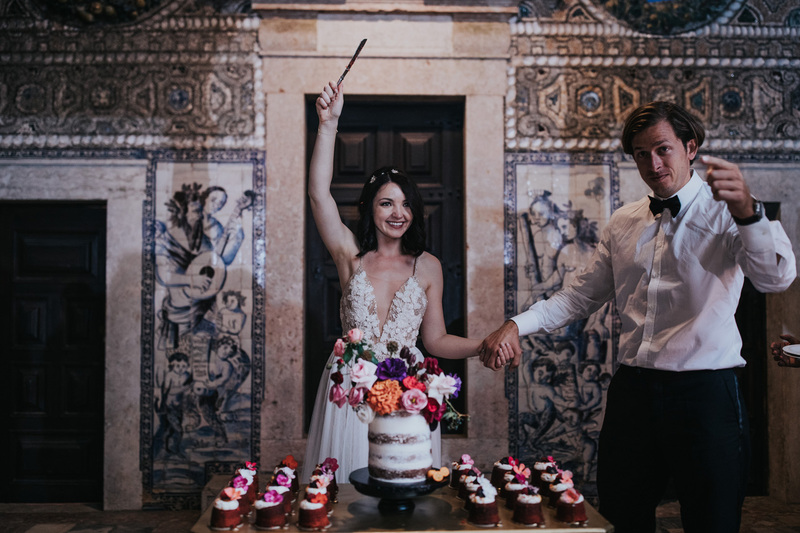 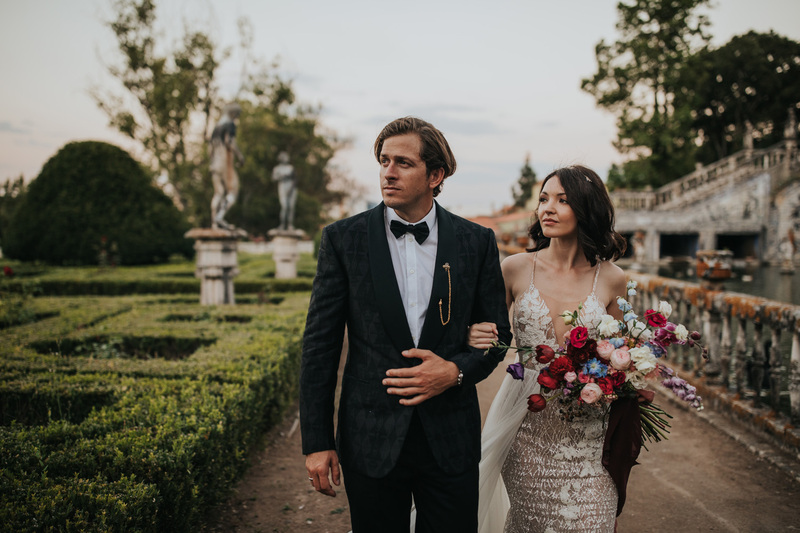 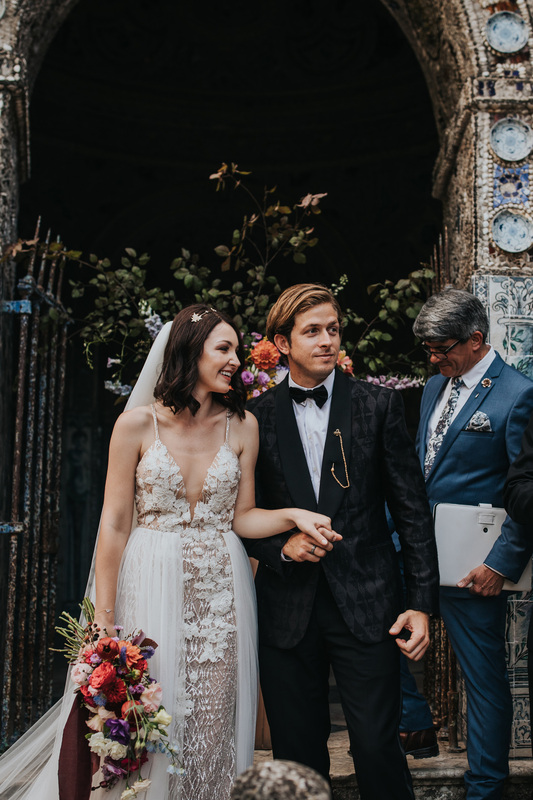 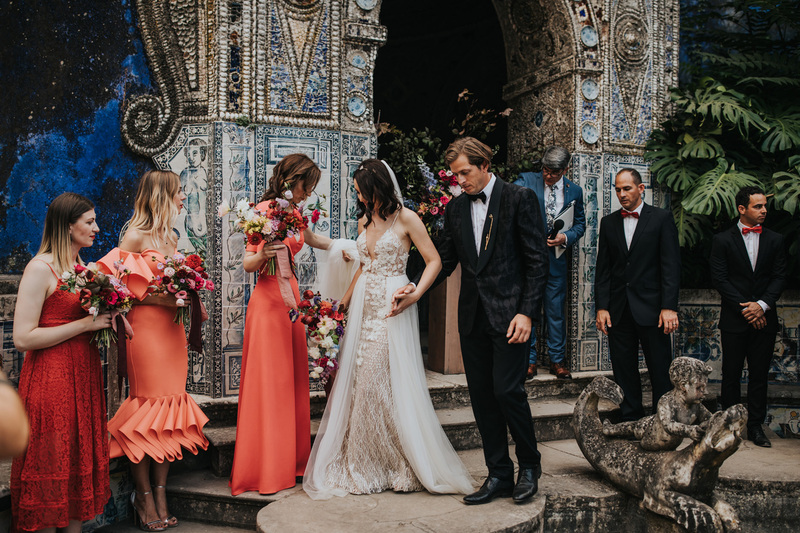 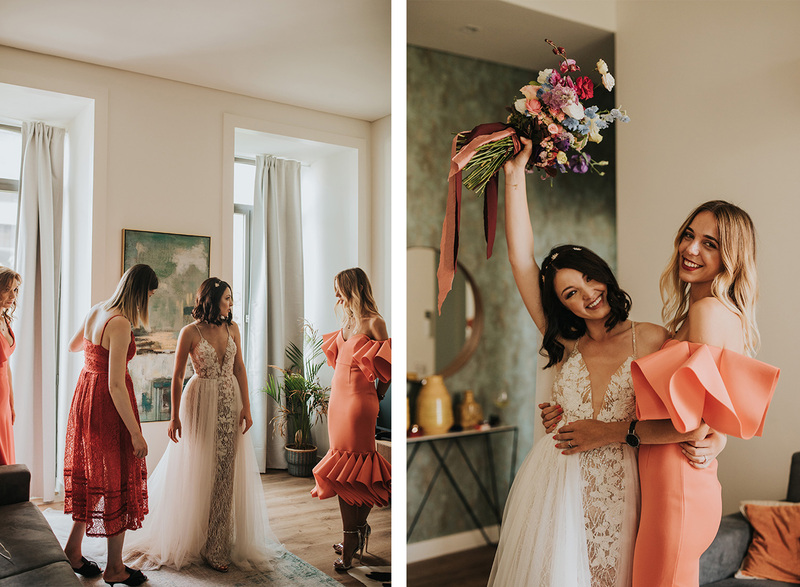 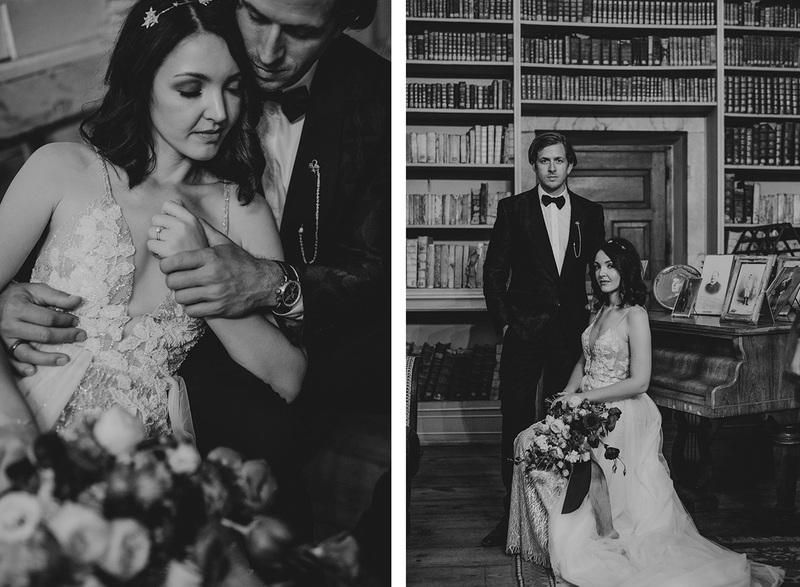 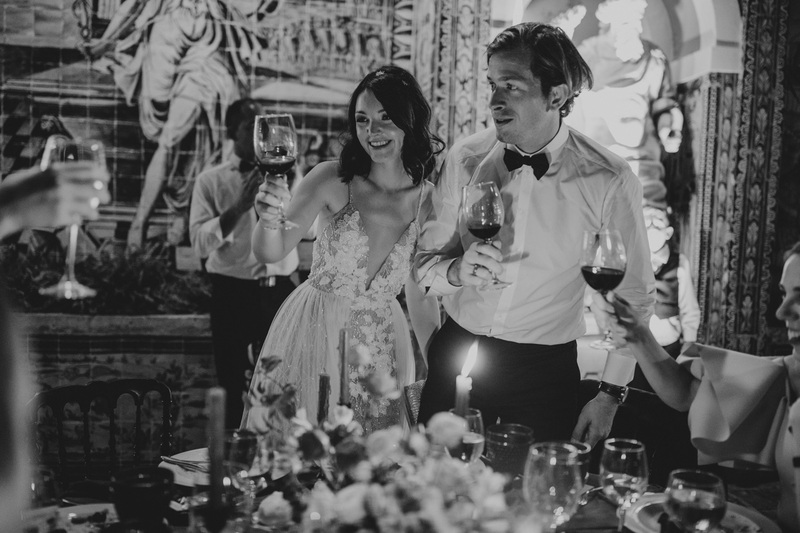 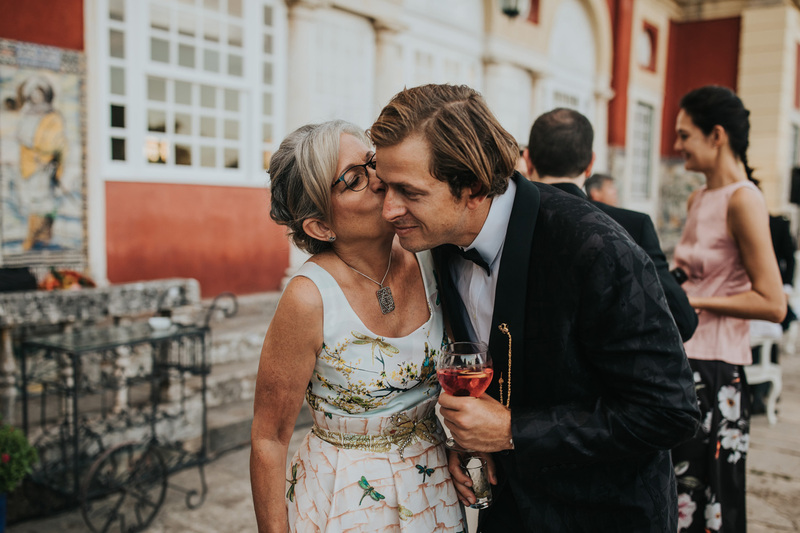 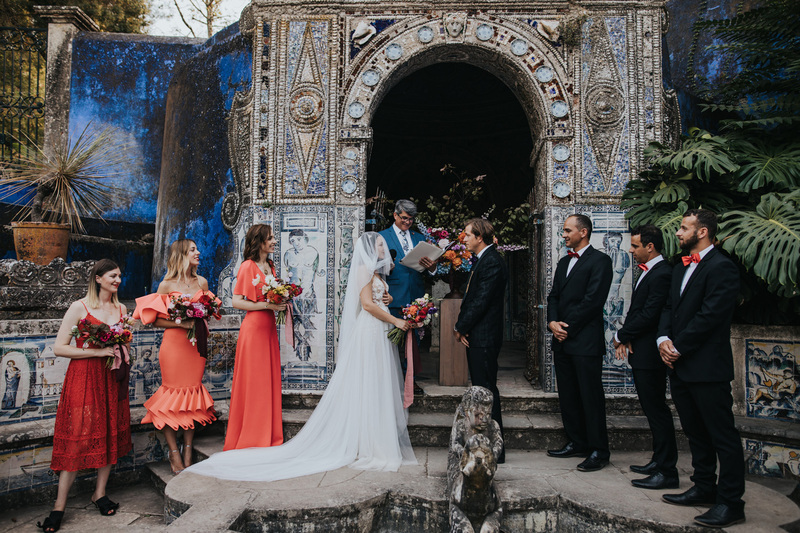 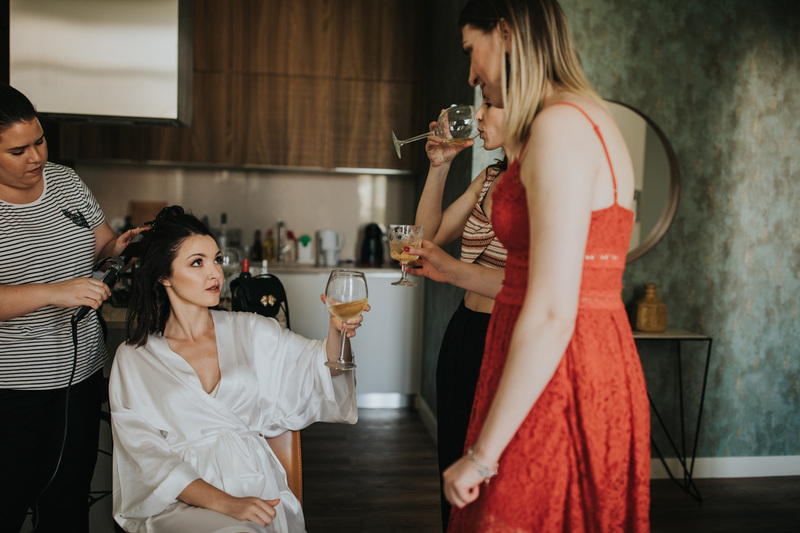 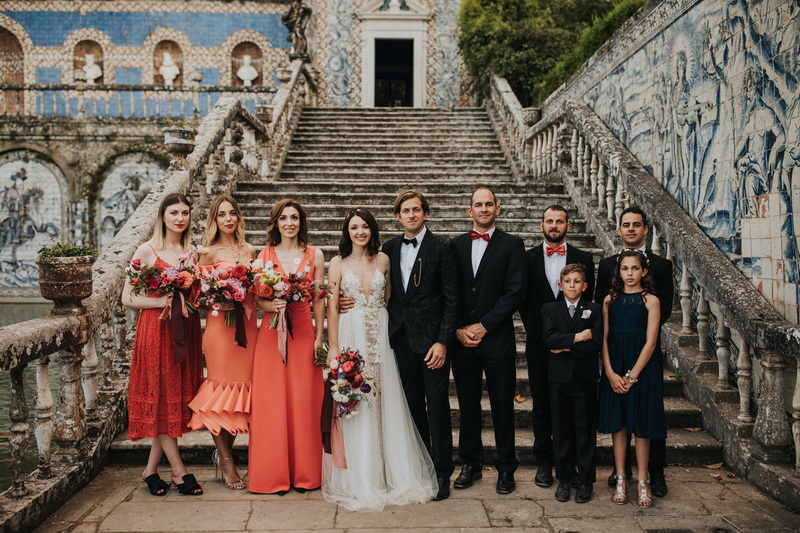 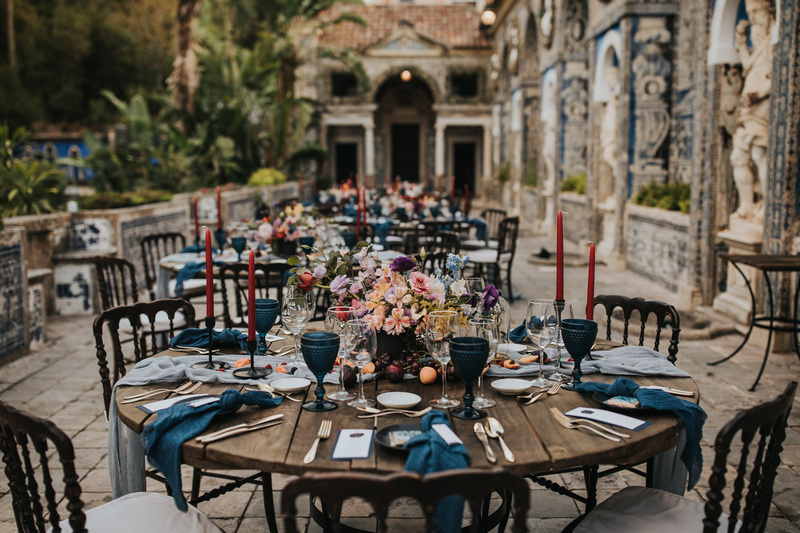 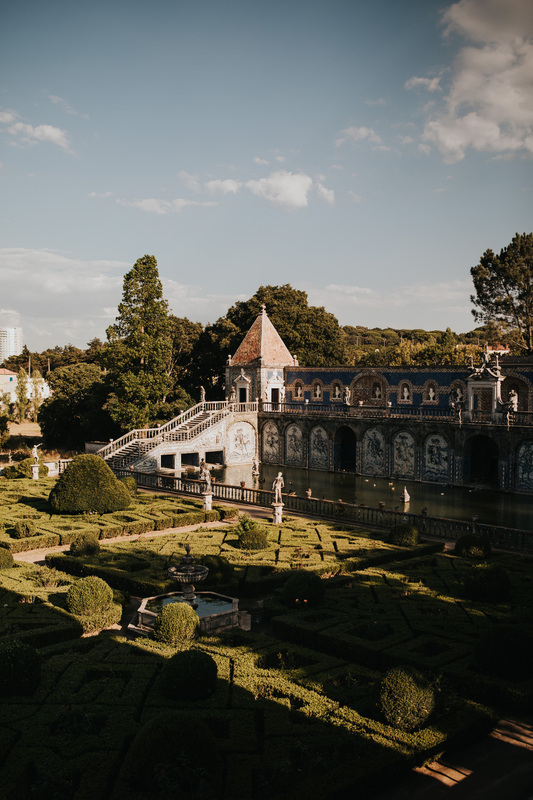 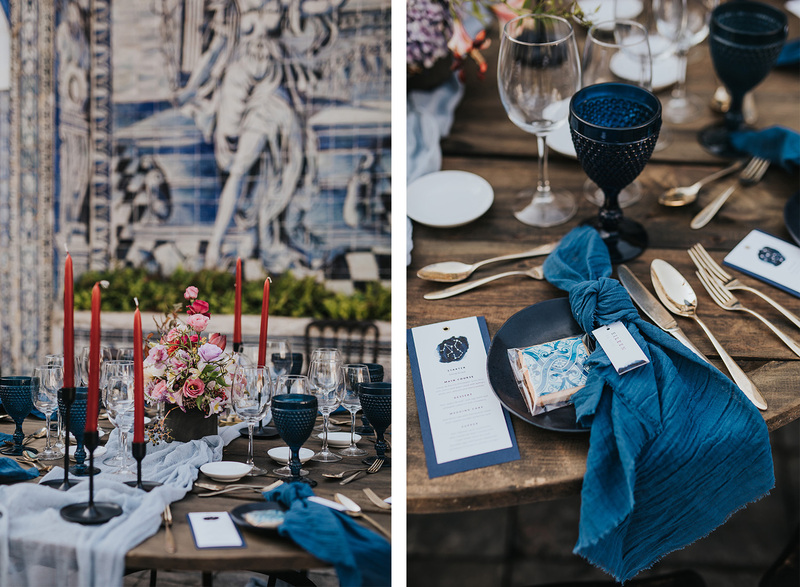 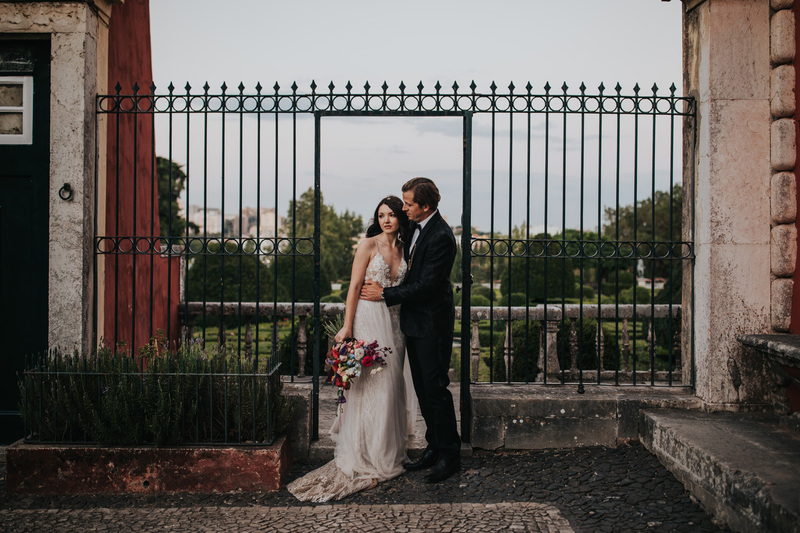 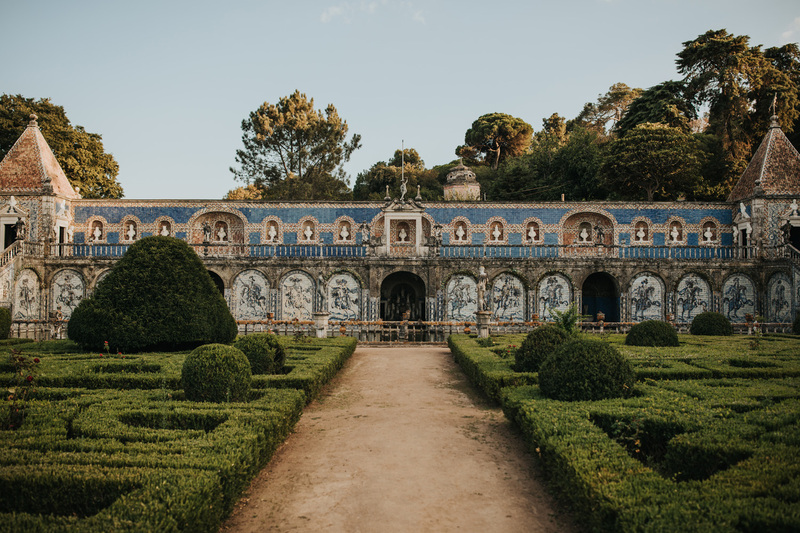 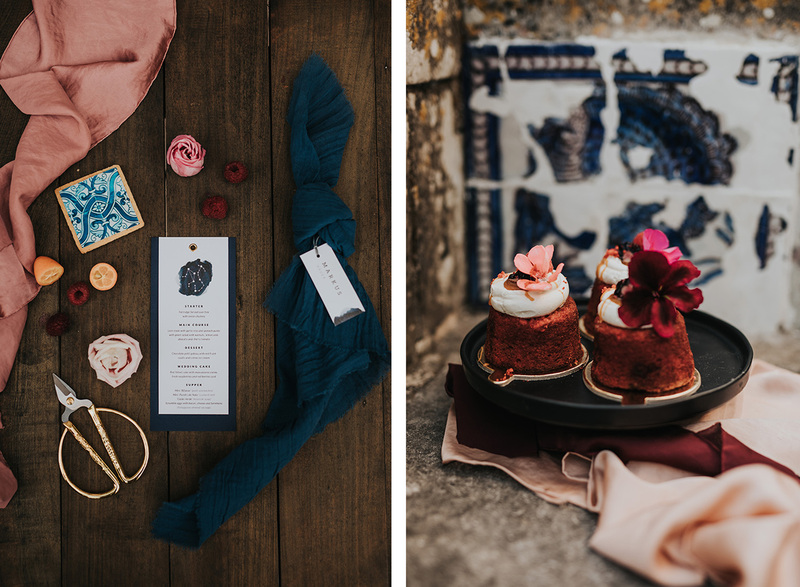 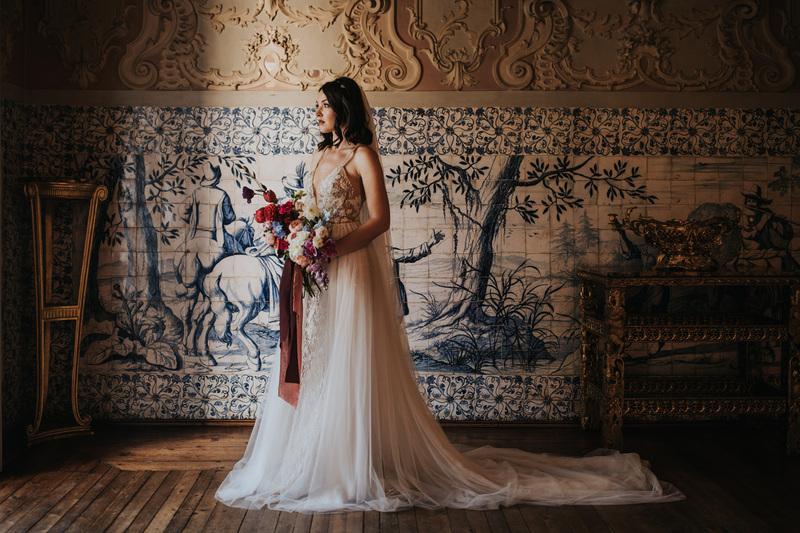 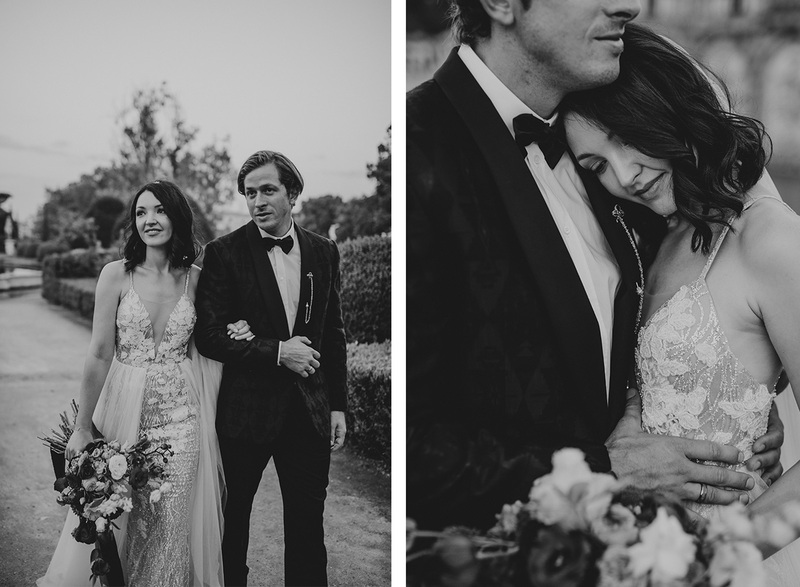 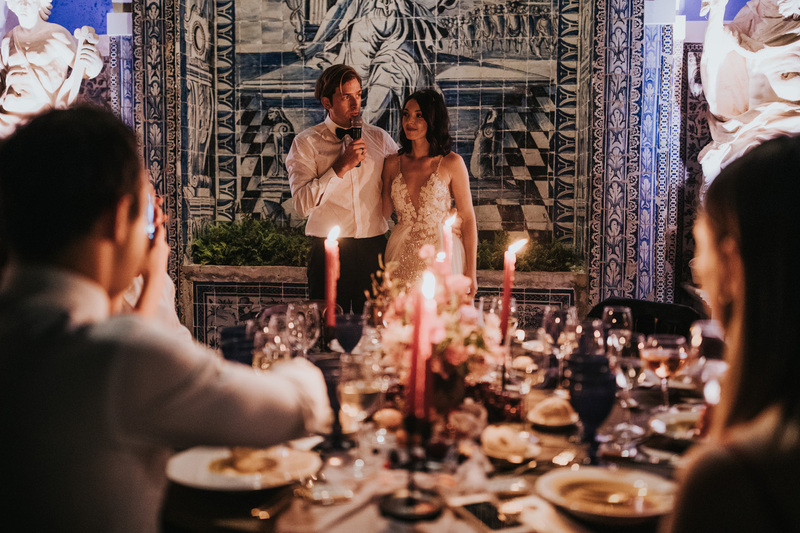 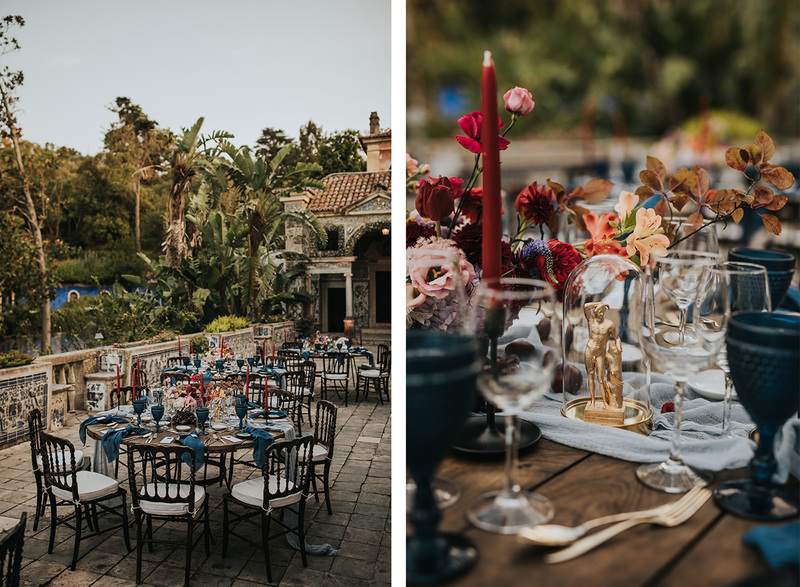 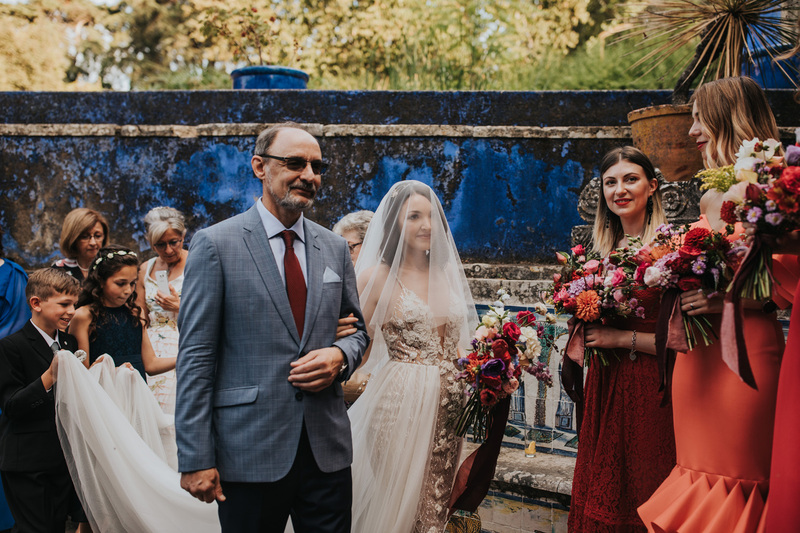 From the other side of the world, Moscow, Ksenia and Jeffrey fell in love with one of the most beautiful palaces in Portugal, a place full of history. 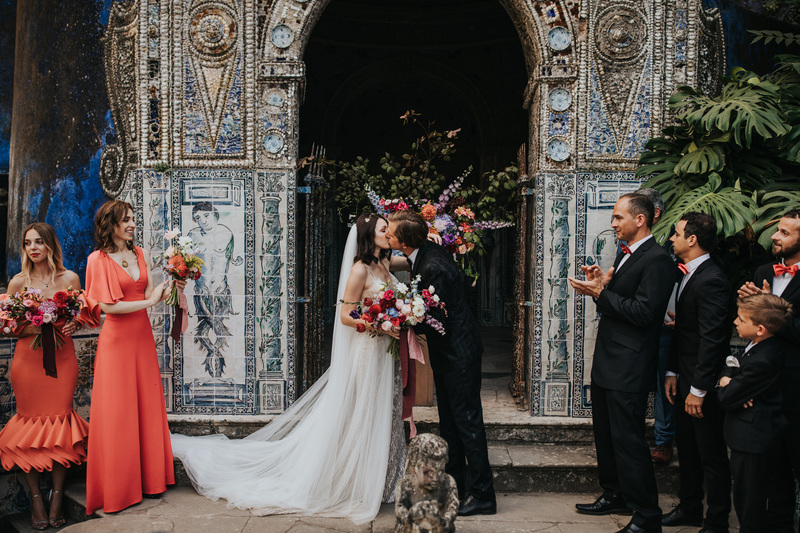 Tile by tile, this is such a mystical place to be lost in. 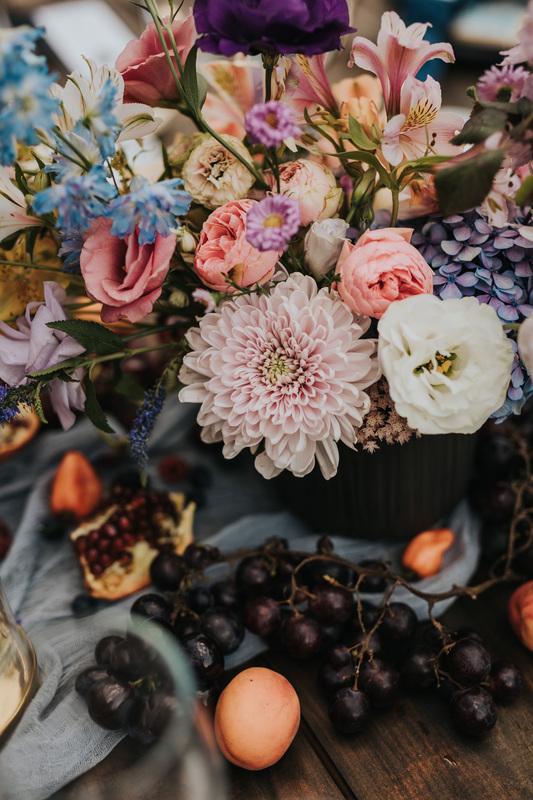 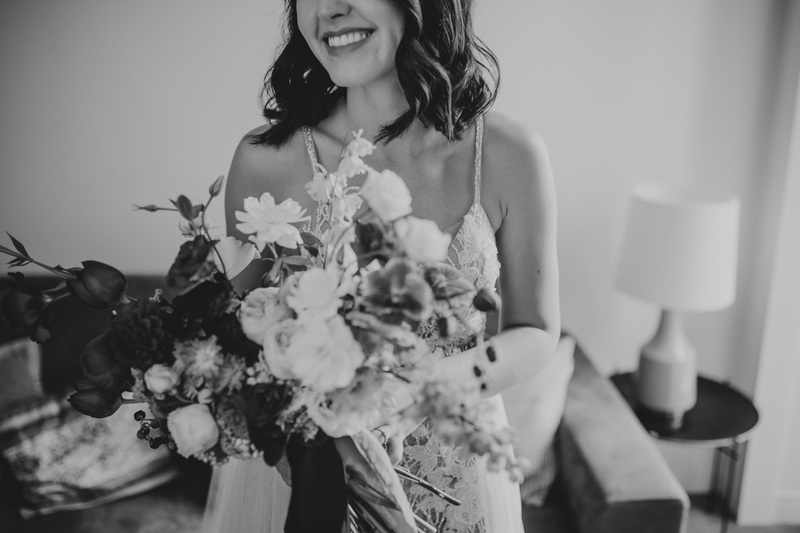 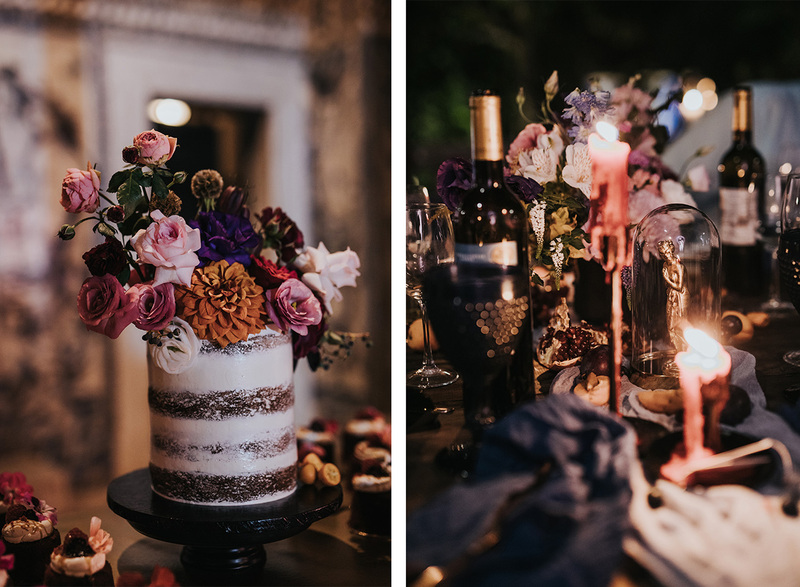 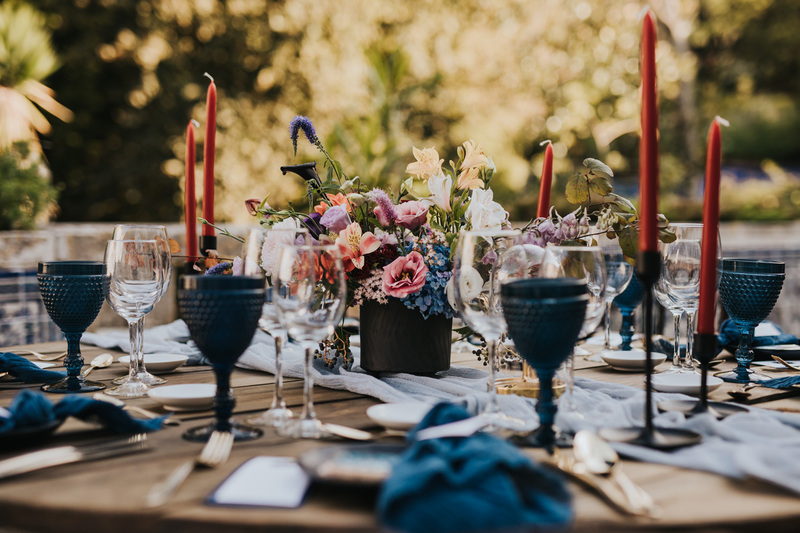 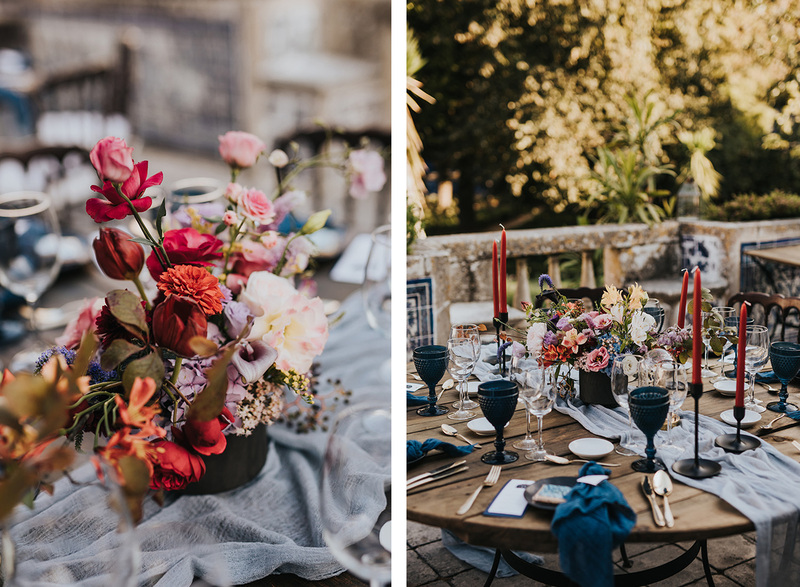 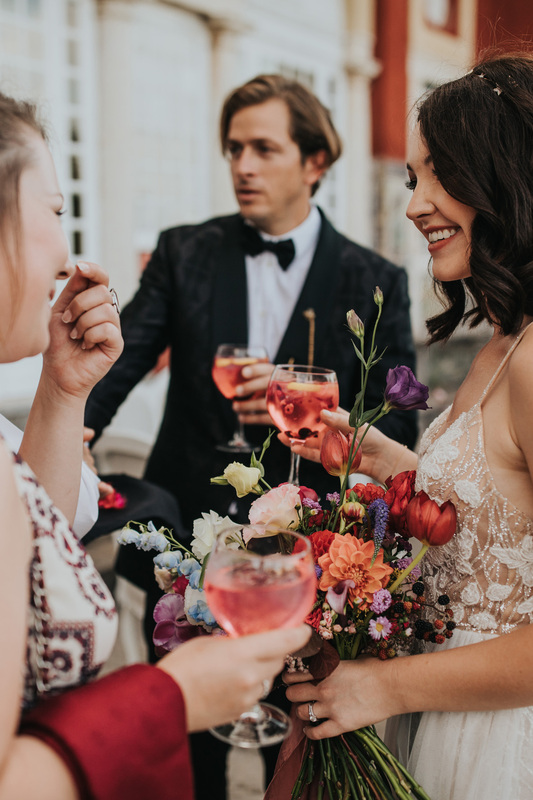 This wedding was inspired by the Italian Renaissance and Cosmos, so every detail was a representation of their unique vision for their day - colorful and big flowers arrangement like old paintings, fruits like a banquet, handmade black moon shaped ceramics, hand dyed napkins, surrounded by a unique atmosphere provided by the venue. 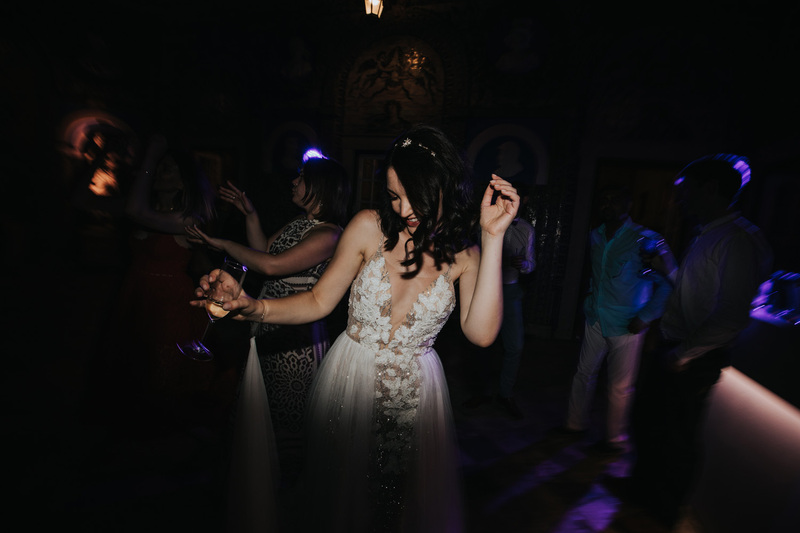 Their unique chemistry was the king of the party. 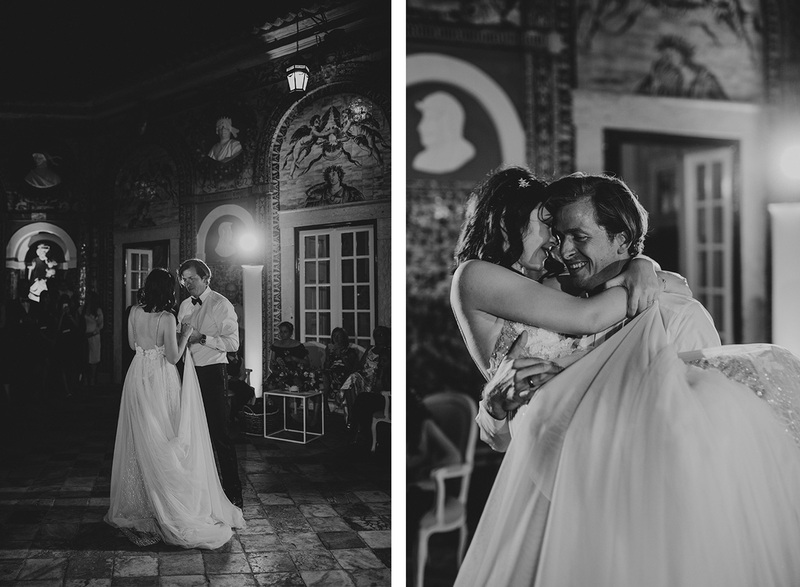 On a warm summer night, we could feel their love without a word and it was a true fairytail kind of day.